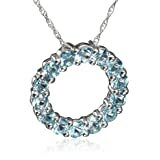 Amazon is having an end of the year sale on fine jewelry. Everything on this page is at least 70% off. There are 275 products available!